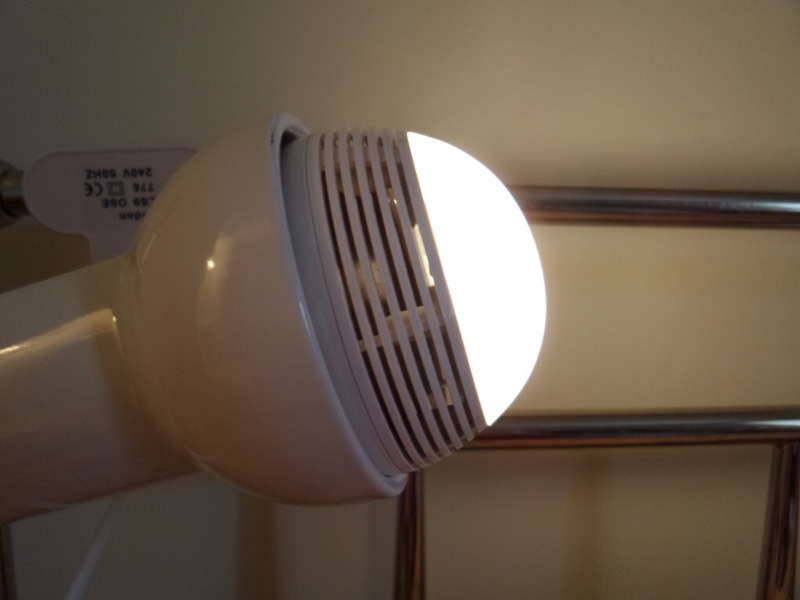 The Playbulb is available from Clove Technology and costs £49.99 inclusive of VAT. 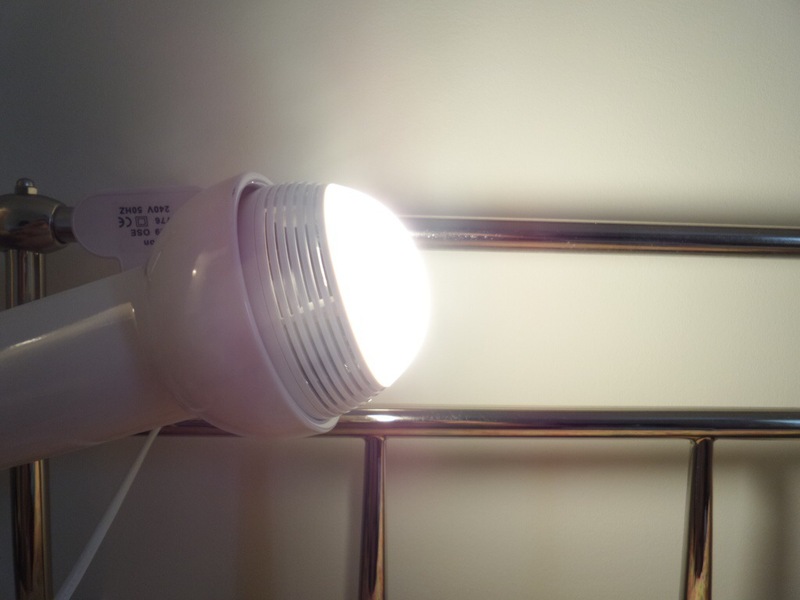 So to start off, screw bulb in to a light fitting. I used my clamp on fitting which gives versatility in placement. 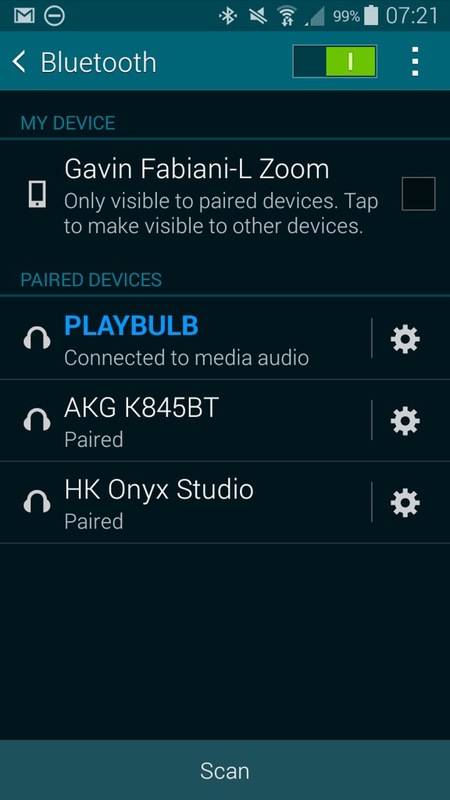 Next turn on your Bluetooth settings on pair the device. You should see it connected as a headset. See below. Next open up the app, and you will be faced with the screen shot above. Tap, Playbulb and move into the next screen. 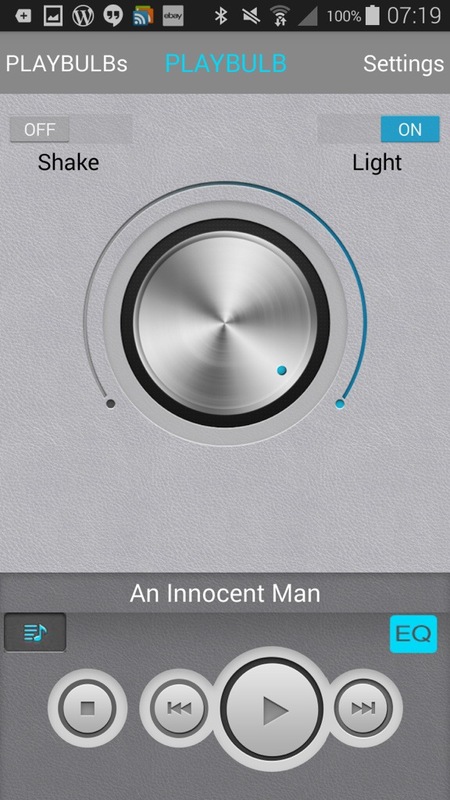 On this page you can use the slider to adjust the light strength, you shake to turn on or off, access music on the phone and tap in the settings. Just how bright is full brightness. See photo below. It’s really bright, but a quick adjustment on the slider and you can lower the light right down as far as you want until it’s off. Below a slightly lowered light setting. 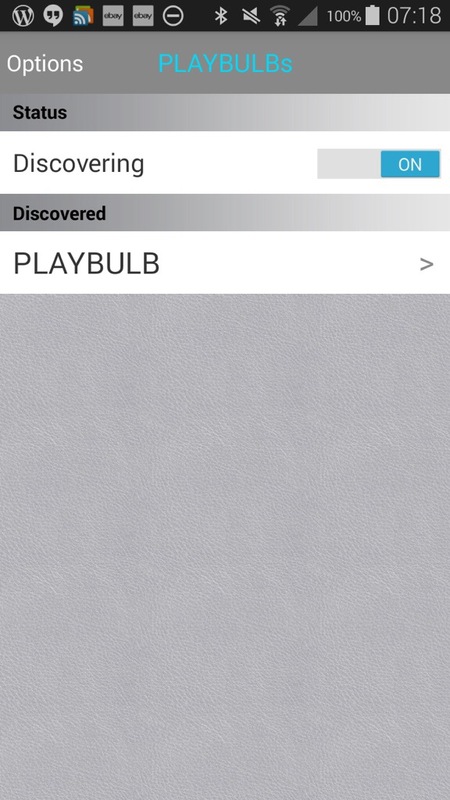 But then the app allows even more controls of the Playbulb from wake up, energy saver, night and sleep modes. The modes are self explanatory really, but as an example you get be woken up with the Playbulb turning the light on and playing some music. So I guess the one unanswered question. How loud does it play. And what is the quality like? It goes surprisingly louder than I expected with a particularly clear sound. Bass was a little light but I can stress enough it is totally freaky when somebody realises the sound is coming from the light bulb! 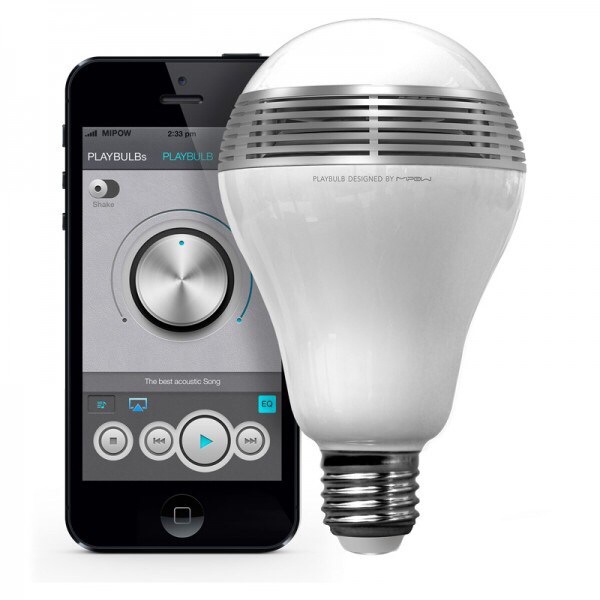 I love my gadgets, and I really like the Playbulb. One concern I had is at £50 the LED lights had better last a long time. I was dutifully informed the lights are meant to last 10 years, and the speaker will continue to function after the LED lights have failed. Had it had both a bayonet connector and an ability to change the colours to any in the RGB scale then yes I would most definitely have bought at the very least two of these. I think , but I could be wrong, Clove include a bayonet adapter. May be worth checking with them. If they do include an adaptor Gavin then I am surprised it wasn’t in the box with the one you received? I would also be a little concerned as to how the adaptor would fit. Reason being my use would be on standard table lamps and these can be tricky not to mention look ugly with a monstrous adaptor sprouting out of a delicate lamp stand! Nothing in the box. I had a loan sample. Thanks Gavin…. I need to talk with Jon anyway about another matter so I may ask him also about this bulb.